Road accidents of any type including motorcycle accidents, car accidents, and even truck accidents can result in severe injuries, head trauma and in worse cases, lead to death. 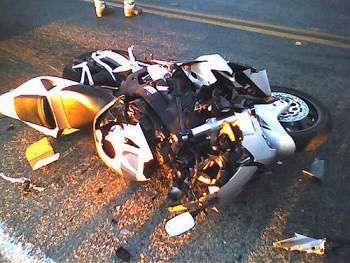 In the painful event of a motorcycle accident which was caused by a rough driver or drunk driver, you should consider hiring an attorney who’s versed in this type of cases to represent you. Such an attorney would help you get paid the stipulated compensation due for you as settlement for the damage, shock, and trauma you have been subjected to. If your motorcycle accident occurred at Fullerton, CA, be sure to visit us at Rawa Law Group to have an experienced motorcycle accident attorney in Fullerton handle your case. If you need a personalized representation, the lawyers at Rawa Law Group are up to the task. We are able to come down to your home or hospital where you are, to get all the details we will need to be your legal counsel. If you prefer to come by our office, we have flexible office hours which make it easy and stress-free to step-in for a quick, free consultation with one of our legal experts who would also leave you with solid legal advice. At Rawa Law Group, our representation does not require any upfront fees so you have nothing to lose. You would only need to pay for our legal counsel once we have successfully represented you, and won you adequate compensation. Get in touch with Rawa Law Group if you need an ethical representation with no hidden charges.